By 1995, 99% of Irish raised bogs had disappeared. In the period since, more than one third of the remaining one per cent has been lost. A lost family photograph of ours evokes a particular memory for me. I was about four years of age standing next to my grandfather, who was standing next to his donkey, which had baskets on either side full of turf. 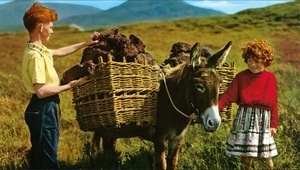 It looked for all the world like a John Hinde postcard depicting an over romanticised view of Ireland, which if it ever existed certainly doesn’t exist now. My grandfather would have cut turf by hand. That Ireland is certainly dead and gone. Raised bogs are only small proportion of the bogs that exist in Ireland, those chosen for protection a smaller number again. Bearing in mind that it takes ten thousand years to create a bog, it is harrowing to learn that by 1995, 99% of Irish raised bogs had disappeared. In the period since, more than one third of the remaining one per cent has been lost. It has been almost 30 years since an EU initiative on conservation has taken root in Ireland. The EU Habitats Directive was first proposed in 1988 being fully adopted in 1992. In Ireland it wouldn’t be incorporated into Irish law until 1997 under legislation moved by now President, then Minister for Arts, Culture and the Gaeltacht, Michael D. Higgins. This delay was followed by further delays in implementation. Rural pressure groups argued that the Habitats Directive was being applied too stringently. Successive governments reacted to this pressure by stalling on implementing the legislation. Slowly, too slowly, Special Areas of Conservation (SACs) began to be defined. However in typical indecisive Irish government action, derogations have been applied to many of these SACs since 1997. Raised bogs are but a small component of the SACs that have been selected. Together their area is about 10,000 hectares. This represents about 5% of the turf available for cutting. Other raised bogs have been given less stringent Natural Heritage Area (NHA) status. A campaign centred around the ‘right’ of not applying the Habitats Directive to raised bogs gathered momentum. Based on the precept that what always has been done should always be done, and the underlying unstated theme that everything that happens in rural Ireland is intrinsically right, the campaign demonised everyone who denied the right to continue to cut turf on raised bogs – The EU Commission, several Ministers for the Environment and later for Heritage, and more viciously officers of the National Parks and Wildlife Service (NPWS). The ugliness of the illegal turf cutting campaign is most particularly felt by NPWS officers, a small group of people who have had inadequate State support. In 2010 as then Minister for the Environment, John Gormley ended the derogation on many of the raised bog sites, alongside a phased timetable for ending all derogations. As a Green Minister for the Environment he was already being demonised by the turf-cutting lobby. Ultimately this action has not been successful as the compensating factors – financial and relocation have been rebuffed by the turf cutting lobby. 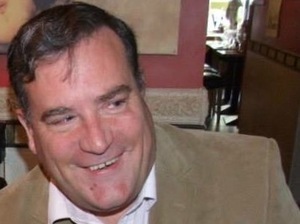 The issue has been used skilfully and successfully by Luke ‘Ming’ Flanagan, and his successor Michael Fitzmaurice, to bring about their election to Dáil Éireann. The name of the lobby promoting this campaign – The Turf Cutters and Contractors Association – seems to be the most honest thing about them. Supporting illegal turf cutting in micro terms causes environmental risks in the form of compromised drainage, and at a macro level removes the potential of untouched raised bogs operating as important carbon sinks, such support is incompatible with being an environmentalist. Big Brother happens to be the good guy in this case. It is about heritage not greed. What’s most surprising is the most reasoned sentiments on the issue that has been already been far too prolonged, have been made by the European Commission. This is an issue where the cliché of ‘stop digging’ has a literal meaning. Posted in Misc and tagged Dan Boyle, Dan on Thursday at 8:48 am on July 7, 2016 by Admin. where did you get the 99% and remaining 1% stats Dan? From three years ago. Figure given time from Irish Peatlands. Cool, I’m not doubting that you read those figures, they just surprise me because where I’m from it’s bog as far as the eye can see and I’m finding it hard to picture 99 times more bog. Would be damn near all of Connaught. Must give that a read. Just to clarify, Dan’s article refers to Ireland’s raised bogs, which occur primarily in the midlands. These have quite a different origin and ecology to the blanket bogs which cover significant areas of the western seaboard and mountainous areas. 99% of the raised bog resource is what’s gone. I can confirm that the 1% left, is in Co. Roscommon. Where the evil Luke Flannigan uses it to manipulate political power like some turf sheik. And windmills built on the hills by Dan’s crowd, bring large lumps of hill down onto the road, when it rains, and floods peoples houses. Yes folks – Dan Boyle – politician – that’s all you need to know. I want to be a turf sheikh. Your turf sheikh would undoubtedly bring all the boys to the yard. Ah, iIremember the great windmill-raising day in Roscommon, led by Dan and his crowd as we all gathered together, simple folk but honest and the womenfolk prepared the food while the menfolk raised the windmills and lovely music played as the wind blew through the heather. I was there because I was wounded and hiding in their insular community, trying to protect a young witness who had seen some policemen illegally cutting turf and and as we fled in a high-speed tractor chase I took a sleagh to the knee. They made a film of it – Windmillness. or a Residence in the Phoenix Park for free with all its Perks. Bloody idiots who drain and build and sow inappropriate crops in the wrong areas then go screaming and crying when everything floods and blames the EU and the elites and the Greens when they want their stupid short-term solutions instead of sensible long-term schemes. It’s all great if you sink your own farm into the mud or send it flowing down to the sea but you drain or cut a bog and a small town down the road is suddenly underwater. Oh, but you know best because you’ve lived there all your lives and generations have cut from that bog and even if there’s no bog left and half the county is now suddenly waterlogged every winter you can’t bloody well connect the two or don’t want to. Just like you can’t connect all the one-off rural housing farmers made millions out of, avoiding all sensible planning policies, with the property bubble – and the strained rural infrastructure and denuded towns and villages – and the eventual bank guarantee. I love how you blame the Greens for that instead of FF with their strong, and now resurgent, rural support. Lawyer, engineer, agriculturalist and environmental expert – that’s some CV you’ve got there Nige m8. Is it a hangover of Brexit that you now think the best way to attack someone is to try to label them an expert? That should have been inappropriately. Drain land needed for soakage for arable, cut down trees on hills for grazing. Rivers do need to be dredged but it’s not the answer to the years of short-term actions and disastrous flood management. As for the rest as far I’m aware the campaign to get the ESB to sort out their sodding weirs and runs is ongoing. Do sign any petitions that come your way and write to your TDs and Councillors. Thank you for your support. So this is what passes for debate – I’m angry and I can do anything I want because I hold you responsible for everything that’s wrong. A bit childish no? Oh and feck off – I’ve personally been critical of Bord Na Mona and Coillte – with their intensive over-exploitation and sitka spruce deserts and acidification – most of my life. I don’t see any notable distinction between the stupid short-term parochial thinking of semi-states or (some) farmers. Grr. Have you tried planting trees for fuel? they can be coppiced / pollarded for a renewable supply of firewood. Comment for for Truth in the news. Turn is not a good fuel anyway. Geez Dan do you shill here often? Most of the damage done to the bogs is by the state controlled entity that is Bord na Móna. In many cases they have created wilderness that can stretch from horizon to horizon. Criticising ordinary people for cutting their own turf – as generations have done before – is at the very least hypocritical, at the worst it a calculated attempt to control the domestic fuel market to the benefit of a state monopoly. I had some sympathy with the idea of traditional turf cutters going out & taking enough for their own use. That changes when I saw the gear they were using, all mechanised, clearly stripping away much more than one families use. They were compenstated for their loss, in some cases, offered alternate sites. Its a business, and they are stripping away a protected site at a huge rate. If you think the stripping of the bogs by private contractors is bad (and it is) then take a drive down through the Midlands and look at wonderful work of Bord Na Mona. Makes those contractors seem downright piece meal! ‘…The Turf Cutters and Contractors Association – seems to be the most honest thing about them.’….careful now…that’s vitriolic even for you Dan…you don’t have Dail immunity anymore. When we do make the necessary move from fossil fuels (which can’t happen soon enough), one thing I’m definitely gonna miss is the smell from old kitchens; from the ranges that used to be in a lot of irish kitchens back in the day. The smell of burning turf. I was in Bunratty Folk Park this week – the cottages all smelled like my grandparent’s house. A nostalgic rush stronger than a shot of heroin. In Finland, they use trees for renewable fuel but they also have put hugh effort into research & development of very efficient wood buring stoves, along with studies on the best way to light a fre. Whch is from the top down, buring the gases normally emitted when you light from the bottom up. No reason why we can’t do it here. Why didn’t you just link to the Alex Jones site you got that from? What’s the matter Rory? Afraid your ‘Green Cult’ has no basis in fact? No. You literally got your info from an Alex Jones website. It took 1 click inside your original link and a google search to find out. I therefore treated a random reply from a stranger on a blog with great skepticism. Still do to be honest. I did come across an interesting study through your second link though, so thanks for that. Which reminds me of this video by Jon Ronson about Astroturfing. Actually I think Jon Ronson is chummy with Alex Jones. Jones features prominently in one of Ronson’s books, and Ronson has been interviewed on the info wars website. Why so obsessed with Alex Jones? You got a broner for him? Hi rory, I read Ronson’s The Psychopath Test and thought that he is quite sympathetic to alternative thinkers. I watched this series from 15 years ago and found it very interesting, he documents encounters with Jones, Icke et al. Yeah I watched it a few years ago. Quite enjoyed it as well. Just checked there, a lot of the episodes are on YouTube. I’m not obsessed with Alex Jones. I mentioned him once because you got your link from him and again because I thought it’d make you more interested in watching the above video. Although in fairness I did post a lot of comments in a row on this thread. I haven’t clicked on an Alex Jones website in years FYI. Either you love him or you’re bringing him up to distract from your unscientific, cult-ish, preaching, Green Dogma non-sense. CO2 is necessary for life on earth and climate has been changing for over four billions years. Why are you so against it now? Ok, I’ll take your word for it about Alex Jones. Apologies for suggesting that. I don’t think either of us want to get bogged down in a stubborn argument that goes on and on and does nothing but stress each other out. So I’m thinking, even if the above link doesn’t convince you, just leave a link that you think might sway my outlook and we’ll leave it at that. You seem to have an Alex Jone fetish which is quite disturbing and may explain what you prefer ‘cults’ to actual hard-nosed science. For future reference: Anybody who tells you CO2 is an atmospheric poision is lying to you. Ok. See what you think of the last link I posted. Take care. No. I refuse to engage with the fraud that is Alex Jones. Stop posting nonsense if you want to be taken seriously. I don’t believe in any of Alex Jones stuff either. The Jon Ronson documentaries featuring Alex Jones, while respectful of him and other interviewees as people, do not share their ‘NWO’ outlook. The other links I posted, the one from the Guardian, the study I found in a comment section in your second link, go against Alex Jones views and what I assume is your own outlook. I find a rejection of the scientific method to be cultish, a belief and a hope that everything will be just fine. It’s not that there is actually a contoversy about measuring and calculating, but that these results threaten production and consumption and indeed the foundations of civilization according to people like the historian Niall Ferguson. This particular conspiracy theory is that 7billion people have no effect on our environment and that we have nothing to learn from, for instance, species collapse and desertification by agriculture. … incidentally there is little mention of the ozone layer now because a trick of the spinning globe has centred the deficit over the Antarctic. We also make no reference to our experience of acid rain and leaded petrol, DTT and toxic waste and the work involved in exposing industry lies and propoganda and in developing alternatives and solutions. Dan its time you got a turf spade and went off to the Bog for a bit exercise, you could get on twitter to tell us how your getting on. It is a fifty year ‘fad’ at this stage. Turf cutting has been in my family. It’s time to stop. Why is it time to stop? Why bother preserving bogs? Serious question. do you draw a distinction between raised and blanket bogs Dan? Is there a treat to, or an issue with harvesting peat from, blanket bogs on a domestic scale? Raised bogs need greater attention but a fossil fuel free energy policy requires a plan to phase out the use of all turf. As a previous post said Dan blames Ming but ignores Bord na Mona. Why would this be? I haven’t mentioned Saudi Arabia either. Unlike Ming and Fitzmaurice, Bord na Mona isn’t campaigning tobaer aside the Habitats Directive. Ahh a lament for the old sod, the turf war. It can get very school yard in here lately. Have to say I agree with a lot of your points. If we have already destroyed 99% of raised bogs then surely its not a big ask to preserve the 1%. Its a bit like hunting an animal to near extinction and then fervently continuing to wipe it out so no-one else can get to enjoy it. Was it not some of the blue shirt brigade that called Ming, a bog wh.re among other things. Or that so and so from the bog and telling him to f back to the bog he came from. So bogs must be good. Mean Ming made it from the bog all the way to Europe. Which all goes to prove, ye can never get far from the bog in Ireland. Gormley was a good MoE, and well respected in the planning and conservation professions. Where is Ireland’s Department of Environment now?